Each jar is painstakingly handcrafted and therefore unique in design and features. 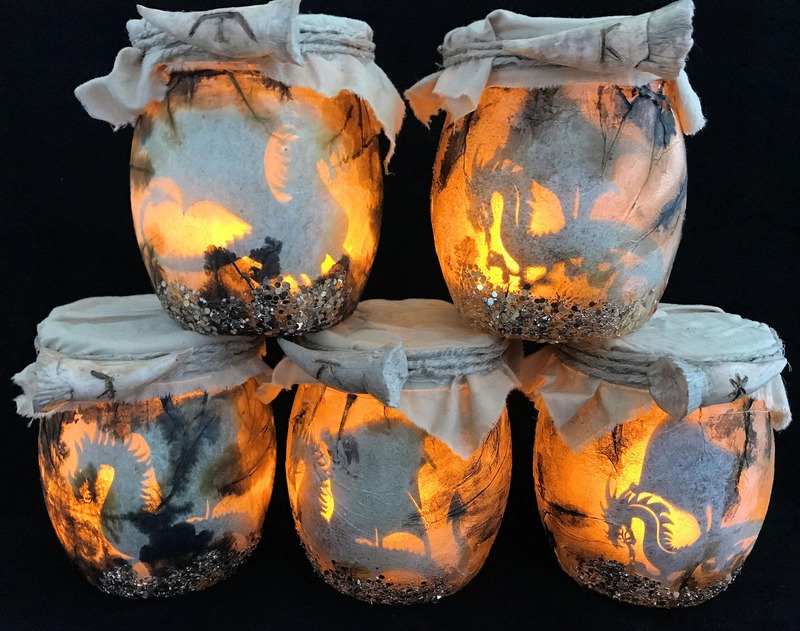 I was able to successfully lure 6 dragon elementals into these jars with golden glitter. I don't know how long they'll keep as they are already starting to burn the jars! 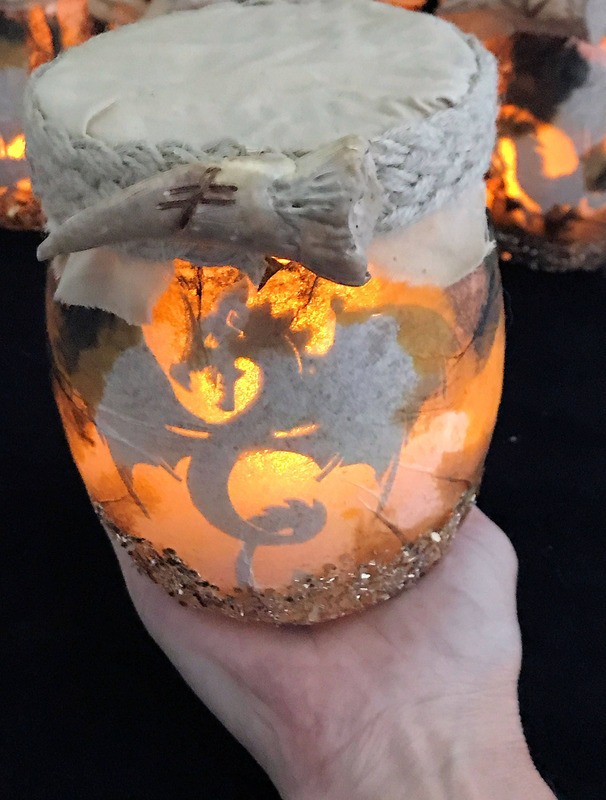 PLEASE NOTE: These are pre-made, the dragon in each jar will vary. Each one has a handcrafted dragon tooth attached to the lid. I created a mold of my original clay handcrafted tooth and made these teeth from that mold with resin. Each tooth is handpainted. 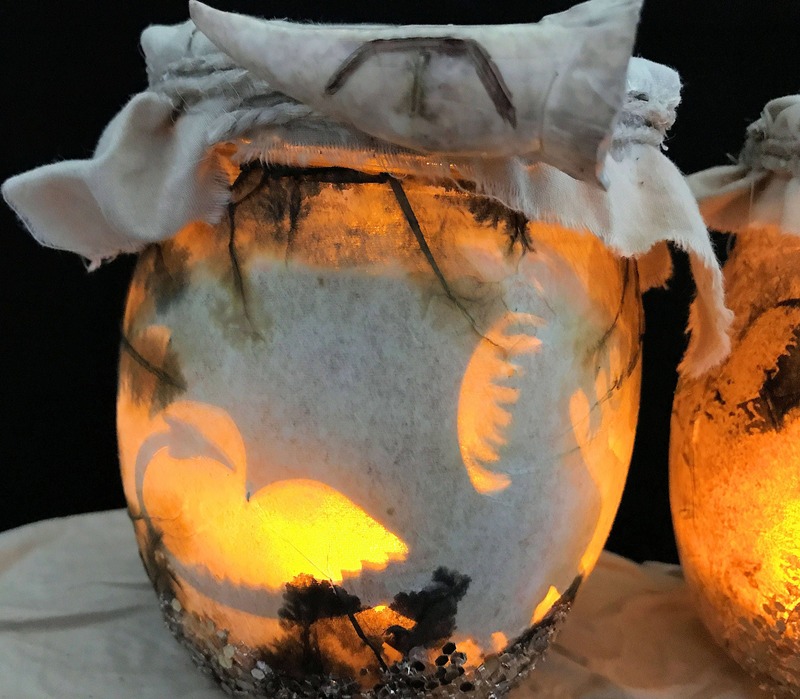 The jar is decorated to look as if it has been burned and the jar looks as if the dragon has the inside lit with its fire! The outside is also decorated with gold glitter to look as if the dragon is sitting on its hoard of gold! This would be perfect as a night light for a child that loves myths, fairy tales, and dragons! 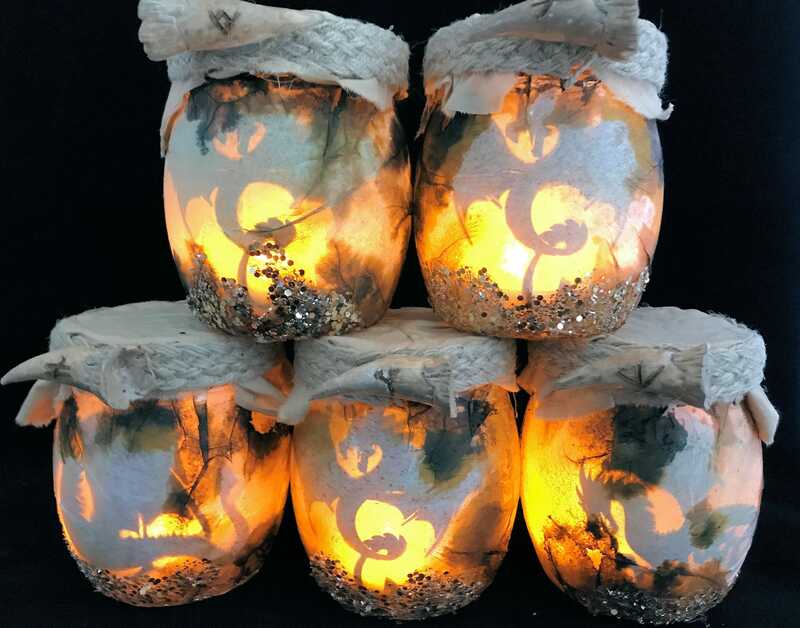 Each jar comes with a flickering LED tea light candle. Not intended as a toy, not to be used with a real candle. I have so much fun making these! The jars that are available are large 23 oz round glass jars with lids. 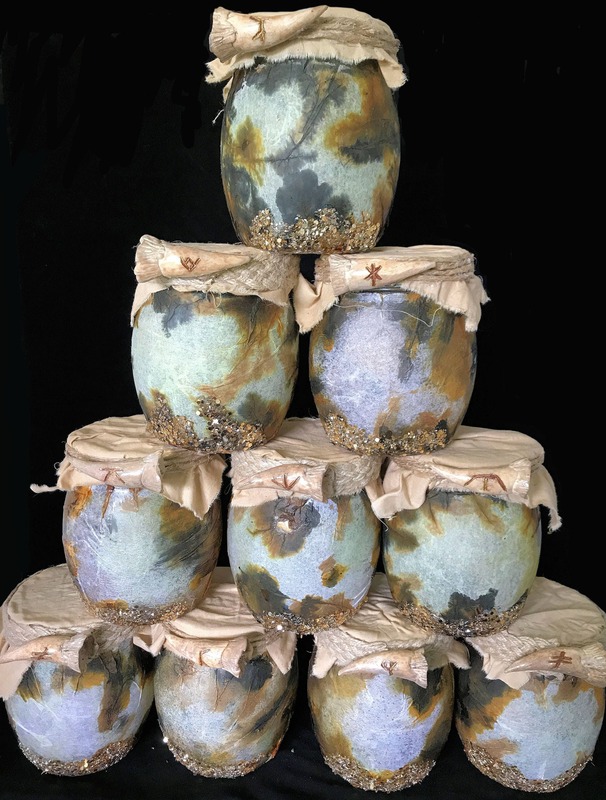 The lids have been covered in a coffee stained muslin and aged with inks. The dragon teeth are affixed to the jute on the lid. A lot of work & love went into these. 2 are gifts & I'm keeping one but would like to keep them all. The vendor added a little extra gift which I really liked. I will purchase from this vendor again. The Dragon Fire Light Lantern is a captivating product. The dragon’s shadow is emphasized by the soft glow of light. I personally am fond of the claw attached to the top of the lantern’s lid. This item is just really cool! I love it and want to get another for a gift and can't decide dragons or faeries! Item is well made with attention to detail. Super fast shipping as well! I got this as a gift for my husband. He loved it! The seller even hand wrote a message for me and put it on the gift. Excellent quality! !